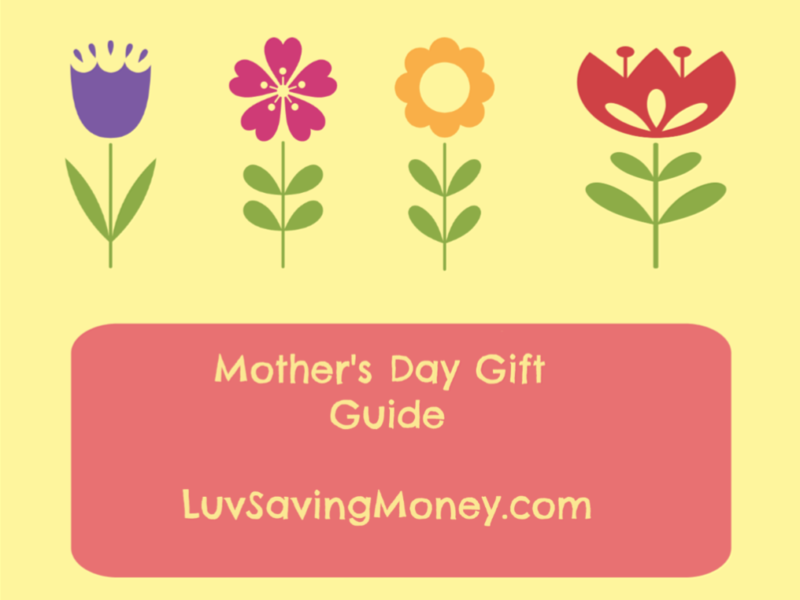 Mother’s Day Gift Guide: Fine Chocolate Club + Coupon Code for a FREE month! I don’t know a whole lot of moms that don’t like chocolate. As a mom of 4 myself, chocolate is always a welcome gift for me. 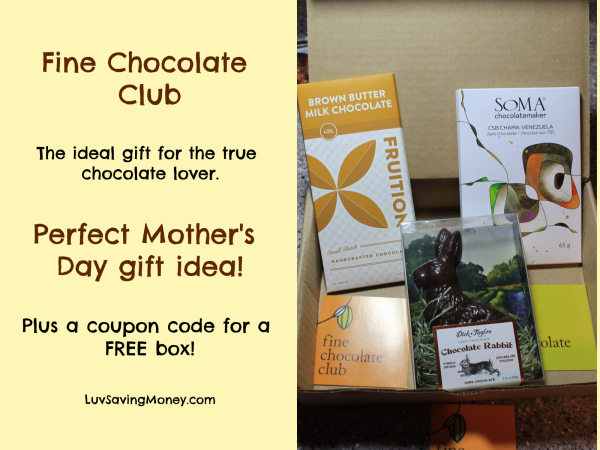 If you have a true chocolate lover in your life, Fine Chocolate Club is the perfect gift. 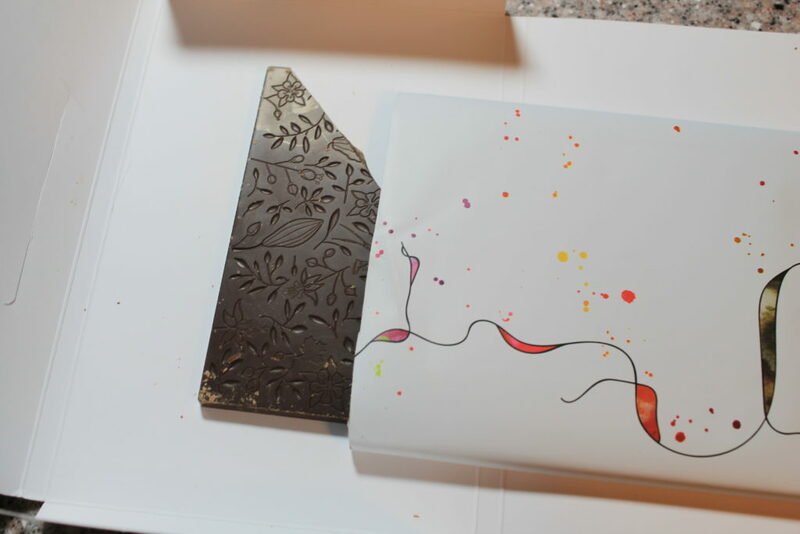 Each month your recipient will receive fine chocolates from around the world. 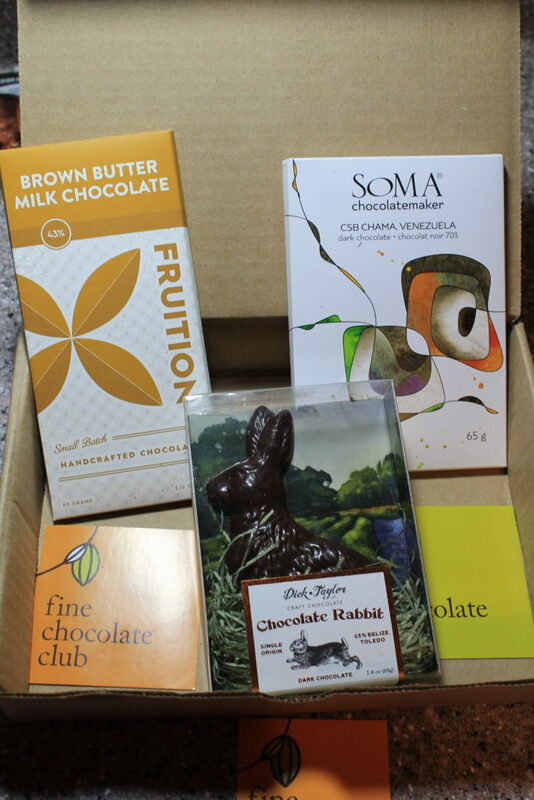 The box I received had to large chocolate bars and a dark chocolate rabbit. The first bar I tried is a small batch hand crafted milk chocolate bar from the Dominican Republic that uses brown butter. This one was my favorite. Smooth, creamy, lots of flavor. It didn’t last long. The other chocolate bar was dark chocolate from SOMA chocolate makers in Venezuela. This dark chocolate was smooth as well. I had to appreciate the craftsmanship with the designs on the bar itself. My 15 year old son sampled this one. He said it had really good flavor for a dark chocolate bar. 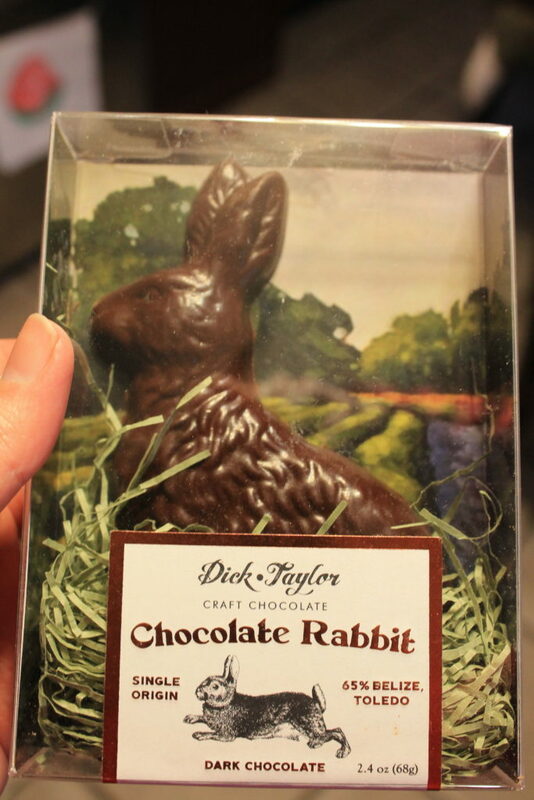 Last but not least it the solid dark chocolate bunny. It’s handcrafted in California with 65% Belize Toledo dark chocolate. Packaged beautifully in a display package with Easter grass and all. The perfect basket filler for the dark chocolate lover. I received the product sample pictured in order to complete this post. No other compensation has been received. Love the dark chocolate bunny. Where my mom recently underwent radiation therapy for her cancer in her head/neck area, it has changed her taste buds and milk chocolate no longer tastes good but dark chocolate does.